This was a pledge to bid in an online auction for a used mig welder for the space. 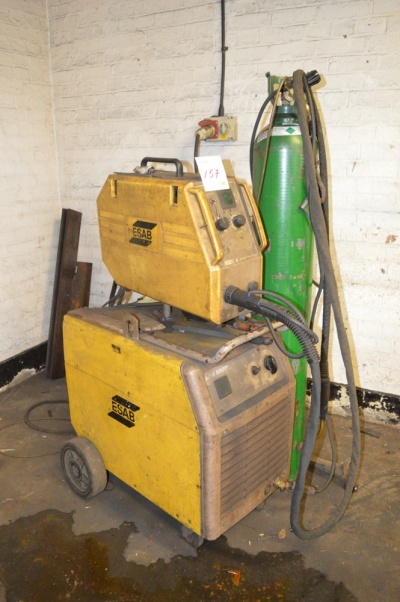 The welder is an ESAB Mig 510 with a Feed 304. Due to a runaway price on the original machine, the bid was switched to an ESAB law 500 with 12 minutes left. This machine was won for £360. Bidspotter put a 15% buyer's premium on it, and there is 20% tax to pay as well so the total bill is expected to be £496.80 Everybody's pledge has been adjusted down to reflect the actual price. This page was last modified on 12 January 2017, at 15:38.